I just saw this on Craft Gossip, and thought it was the most adorable veggie dish I have ever seen. 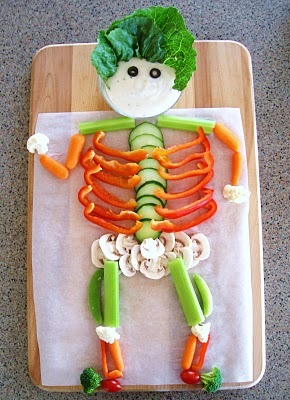 Imagine how excited your kids will be about eatting their veggies if they were served in the form of a veggie skeleton. I think I might even get my picky kids to eat more veggies too. If you would like to see how to make one of your own, be sure to check out the blog Feeding Frenzy.